"Why would a dead girl lie?" 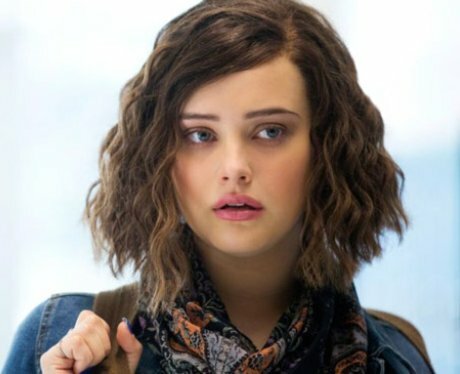 1. Who is Hannah Baker? Hannah Baker is the protagonist of Jay Asher's 2007 novel "13 Reasons Why". The book tells the deeply emotional story of a high school junior who takes her own life. 13 Reasons Why has been adapted into a hugely successful Netflix series starring Katherine Langford and Dylan Minnette as Hannah Baker and Clay Jensen, respectively. 3. What are Hannah Baker's reasons for making the tapes? After a series of life altering events, Hannah decides that she can no longer continue with how things are. Though the decision to take her own life ultimately belongs to Hannah, she creates the tapes to provide insight into her choice. There are 7 tapes and 13 sides initially. Clay adds an additional recording of Bryce Walker's confession, making it "14" recordings. 4. Who are the classmates Hannah Baker mentions on the tapes? Hannah creates the cassette tapes that tell the in depth stories of how her classmates made her life unbearable. On the tapes are Justin Foley, Courtney Crimson, Jessica Davis, Alex Standall, Tyler Down, Marcus Cooley, Sheri Holland (Jenny in the book), Clay Jensen, Bryce Walker, Ryan Shaver, Zach Dempsey, and the school counselor, Mr Porter. 6. How does Hannah Baker die? There is a small difference between how the book portrays Hannah's death versus how it is depicted in the Netflix show. Originally, there are few details given about how Hannah takes her life. It is implied that Hannah overdoses on pills, but the scene is not described in great detail. In the show, Hannah fills a bath tub and makes deep cuts to her wrists. She bleeds out and is discovered by her parents. It is a very graphic scene which has drawn some criticism from suicide watch groups. 8. Hannah Baker was originally going to be played by Selena Gomez. Selena Gomez purchased the rights to 13 Reasons Why in 2011 and originally wanted to play the part of Hannah Baker. The actress has said that she saw herself in Hannah and identified with some of her struggles. In the end, the part was given to Australian actress, Katherine Langford. 9. Selena Gomez wasn't Hannah, but she was the executive producer of 13 Reasons Why. Selena Gomez may not have been in front of the cameras as Hannah Baker, but she did have a big role as executive producer. She wore blue nail polish to the Netflix premiere to honor "Hannah". Selena also contributed to the show's soundtrack with her cover of Yaz's "Only You".